There are times when I look around and wonder what direction are our women are going? I see some who are goal oriented and achieving yet social media paints a different picture, Women and young girls twerking by shaking their butts in G-Strings or very short shorts get 500 “Likes” on Facebook. It also appears that “Girl Fights” are the new rage on social media as well. It doesn’t matter if its 1 on 1 or an all out brawl. Hair pulling and clothes ripping excites the crowd as the female combatants provide plenty of action for everyone’s camera phone, Even the older women join in. Then, it goes viral! 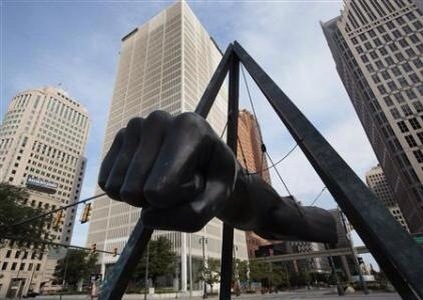 For two of Detroit’s most influential women in the community, This is unacceptable! Ber Henda Williams is a noted poet in the city and her passion for spoken word only pales in comparison to her passion for mentoring young girls, June 6th she will be hosting her annual Power of Girlhood version 5.0. She will have special performances from poets One Single Rose and Dimonique Boyd just to name a few. You can find more information here: http://www.thepowerofgirlhood.org/. 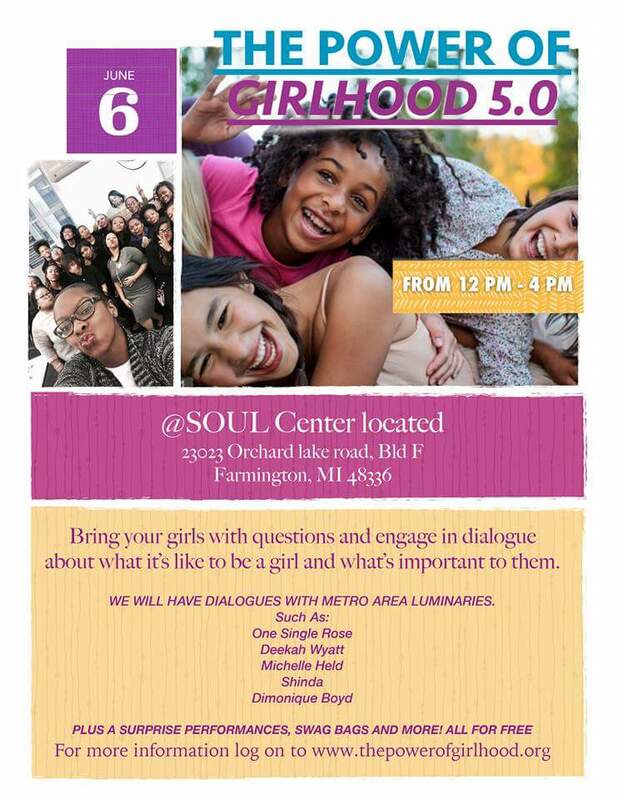 If you have a young girl, do not let her miss this event and It is totally FREE! 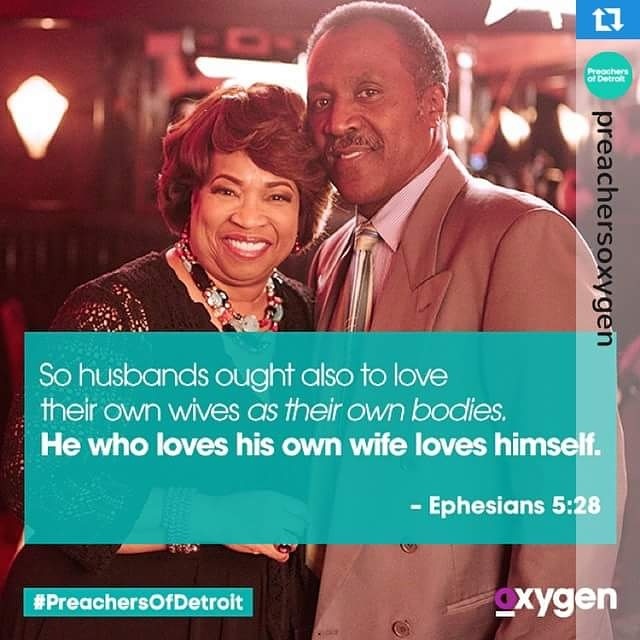 Nobody took the world by storm like “Preachers of Detroit” cast member Bishop Corletta Vaughn. She has been an inspiration for women and young women alike. 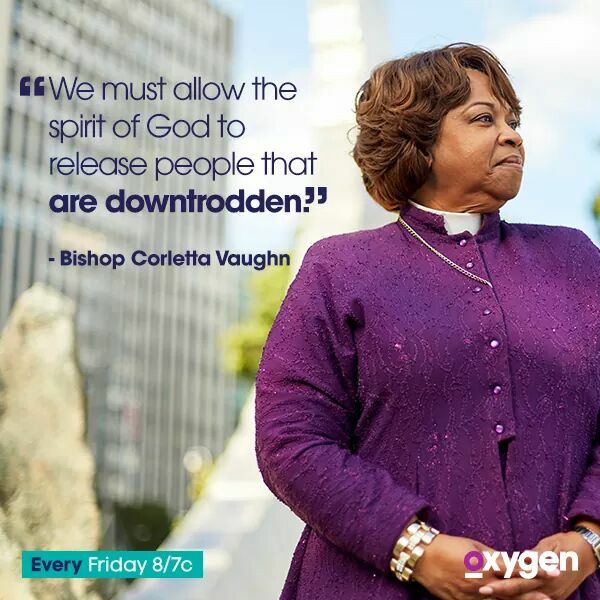 Bishop Corletta Vaughn’s story of perseverance to become a Bishop in the male dominated pulpit has empowered women world wide. Bishop Vaughn wants to do more for women and young girls. 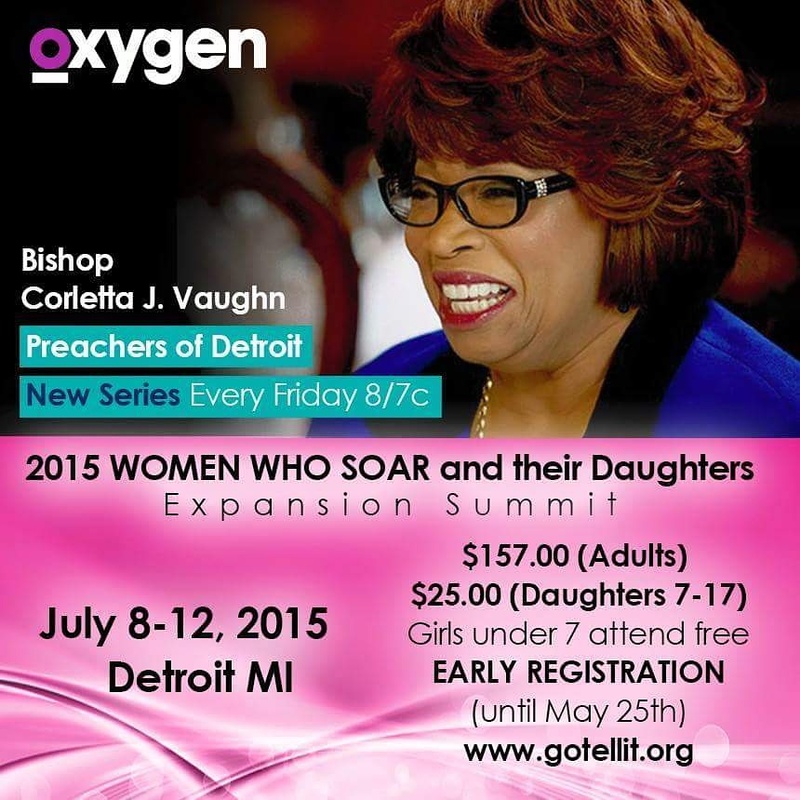 In one episode of “Preachers of Detroit”, Bishop Vaughn invited the women on the show to her “Women Who Soar” conference, On July 8-12, she will be doing her conference again and it’s open to all women who want to attend! Also, for the first time, this will be her expansion summit! Ladies are strongly encouraged to bring their daughters for an enrichment summit that will stay with them for a lifetime! There is a fee for this summit yet it is a small price for the information and enrichment women and their daughters will receive! This is a can’t miss Mother-Daughter outing opportunity! I encourage all women reading this post to attend both events! Let the “Power of Girlhood” bond you and “Women Who Soar” empower you! As men, we have to support our women and encourage them to attend, Our daughters can benefit greatly from interacting with strong and talented women. Encouraging your wife to go to an empowerment summit is the perfect way to show your support for her goals. In return, she strengthens the household so that both of your goals become a reality! 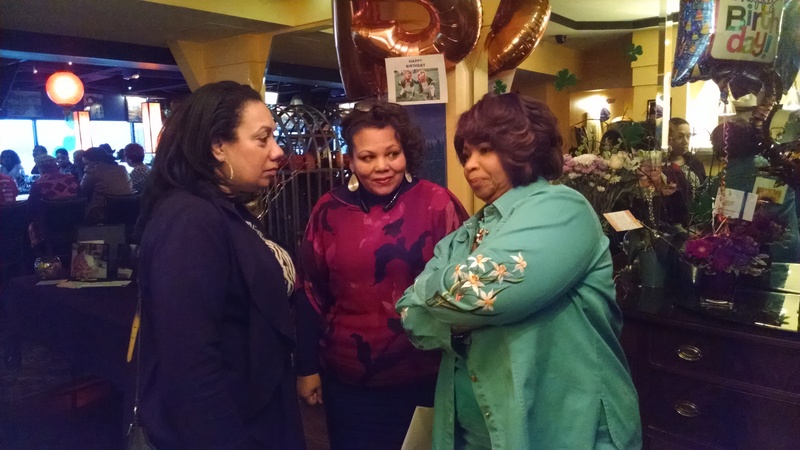 My hat is off to Ms Ber Henda Williams and Bishop Corletta Vaughn. I am thankful for these women of faith and purpose serving as guides and mentors to our community’s most valuable asset… Our women. Holla If You Hear Me!